The Dirt Bag is Holladay, Utah’s preferred supplier of soil, mulch, rock and landscape materials – both bagged and in bulk. In fact, when you order our high-quality bagged landscape materials, we will deliver them for free to your location (anywhere within Salt Lake County). This means you can get our first-rate garden soil, landscape rock, mulch, compost and more without the hassle of having to haul it yourself from the garden center or home improvement warehouse. Or, if you need larger quantities of our products, we can deliver to you in bulk for a nominal charge. Don’t forget that The Dirt Bag is also the preferred Holladay sod supplier. Our Kentucky bluegrass sod has been designed and cultivated specifically for northern Utah, providing you with a lush, green lawn virtually overnight. Here at The Dirt Bag, we are known throughout northern Utah for our affordable bagged landscape materials. We pack your materials of choice in our heavy-duty, reusable one-cubic-yard bags and deliver them to your Holladay location at no charge. Not only will we deliver them to your location but we will offload them in the location of your choice (space permitting, of course). You don’t even have to be home when we deliver. Simply mark your preferred location on the ground with chalk, tape or spray paint. 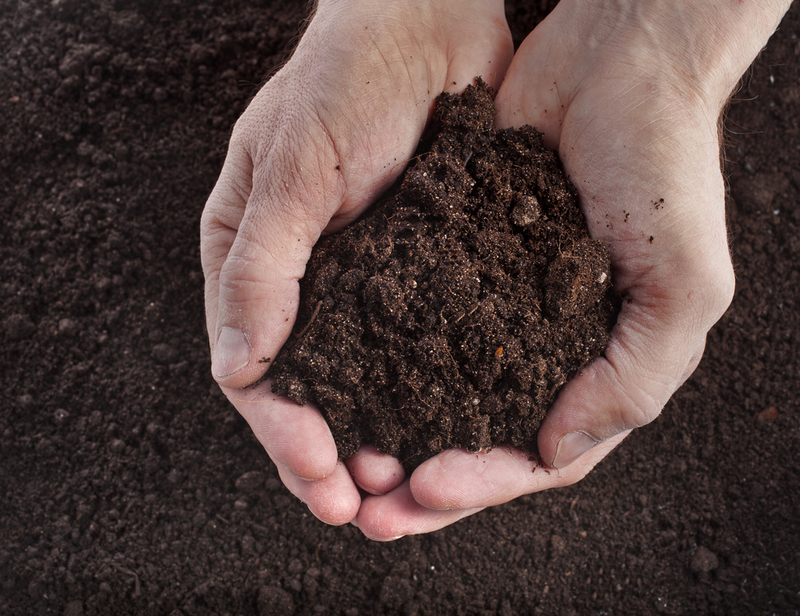 Choose from our best-selling Garden Soil Plus, Organic Mountain Compost, soil conditioner, shredded bark mulch, wood chips and screened topsoil. You can order using our secure and convenient website or just pick up the phone and give our helpful, friendly staff a call. For all your larger landscaping materials delivery needs in Holladay, we also sell our products in bulk, in one-cubic-yard increments. In addition to topsoil, garden soil, mulch and compost, we also offer our Weber cobble, Oquirrh gravel, pea gravel and more. Our selection changes from time to time so, for an updated list of Holladay bulk landscaping materials options, you can visit our website or stop by our yard for a delivery quote. Our Kentucky bluegrass sod is native to Utah, cultivated specifically to thrive in our geographic region with minimal care and maintenance. We sell our sod by the pallet (with a minimum order of four). You can pick up your order from our location or we can deliver it to your Holladay location for a small charge. If you order 10,000 square feet of sod, we’ll deliver free to you within Salt Lake County. Remember The Dirt Bag whenever you need soil, mulch, rock and landscape materials delivery, bagged and in bulk, in the Holladay, Utah area.